Erected by Jane Cormack in loving memory of her dear husband. Peter Donald died 17th June 1965 aged 66. 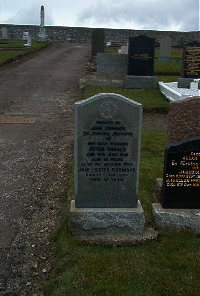 Wife Jane Keith Cormack died 13th January 1978 aged 63.